Webkin's World : My Monchhichi Collection and...a Competition! 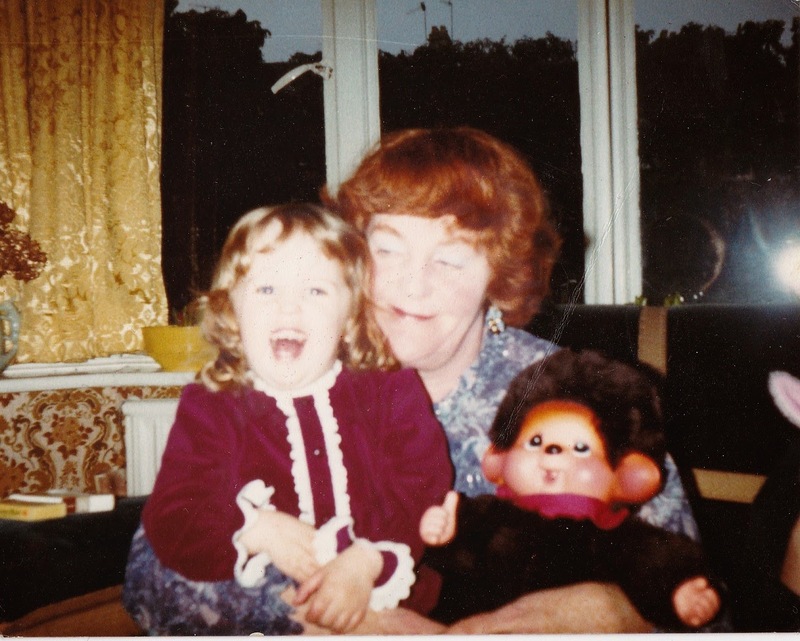 My Monchhichi Collection and...a Competition! If you grew up in the 80's like me you may remember there were these really cute little monkey toys. When my sister Anna was 10 years old she asked me if she could take Chicaboo to school on the last day of term (do you remember how you would always be allowed to take in a toy or game from home to play with?) I said she could take him, but she had to take good care of him! That evening she came back and his head had been ripped off by one of her friends! I am not sure what exactly happened but I was really upset! Some friends! Even though I was 13 at the time this was my favourite toy and I was a bit devastated by his decapitation! In my twenties I saw my Chicaboo online and had to buy him! This is when I discovered that there were many of them now listed on ebay, and most of them were listed as Monchhichis. I bought a few, and then a few more, and it wasn't long before I'd grown a nice little collection! I didn't know much about the history of my Chicaboo and how Monchhichis came to be until recently; The original Monchhichi character was born in 1974 in Japan from the imagination of Mr K. Sekiguchi. The Monchhichi name comes from the French word "mon petit" which means, "My small cute thing" and the hint of "mon" from the English word for monkey and the "chhichi" comes from the sound of a baby sucking a pacifier (dummy) like "chu-chu" in Japanese. Monchhichi has won fans of all ages from all over the world and has sold more than 70 million toys and accessories since he first came into being. I was really surprised and excited when I saw a collection of Monchhichis in a shop a few years ago here in the UK that I decided to add to my little collection. Of the new ones, I particularly love the girl with the baby, and of course my keyring girl. This year Bandai has been appointed the distributor of Monchhichis in the UK and they have introduced a beautiful new collection, including this gorgeous sailor boy (below) who they kindly sent to me to add to my own personal collection. I absolutely love him! He is so cute! I especially love his little hat and stripy sailor shirt! 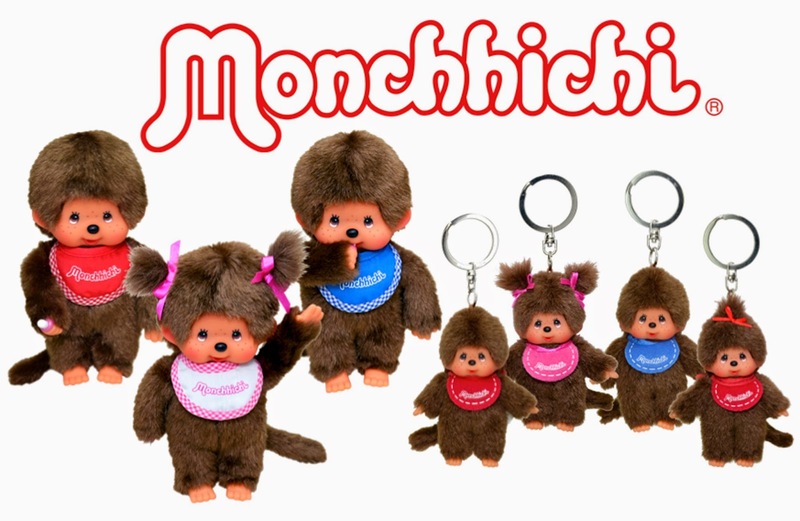 If you're thinking like me, "These Monchhichi are so cute and adorable and I must get some!" then you're in luck because Monchhichis are available NOW to buy in online shops, including Argos, The Entertainer and Harrods (but I wouldn't be surprised if they pop up everywhere soon). For more information and to keep up to date on the new collection, join the Monchhichi Official UK Facebook page. Bandai have kindly given me some Monchhichis to give away to one of my lucky blog readers. The winner will get to choose one classic Monchhichi (20cm) and a classic keyring of their choice, as pictured below. To enter the competition and win your own classic Monchhichi and keyring, simply complete as many of the steps as you wish on the Rafflecopter form below. A winner will be chosen at random at the end of the competition. Feel free to comment and let me know if you had a Monchhichi of your own, or if you're new to these cute creatures! I'd love the Monchhichi with the white and pink bib for my youngest daughter! Thank you! I like the one with blue bib - I have a bigger version at home! it would be for me. The pink ones, for my Daughter! Any would be lovely; I don't have any children so would donate them to charity, to go to Romania. both the pink ones, please - the keyring for me, the toy for my daughter.. I've never seen these before but they are so cute! I like the one with the pigtails for my daughter. Honestly, I'd be happy with any. The pink one for my daughter. I'd love the Doggy Trainer Girl one for my niece! the blue ones for my son. The one with the pink and white bib..so cute!! Red, one for my son & one for my daughter! The pink one with pig tails, for my lirtle girl! They're all great, but the one with a blue bib is my favourite. I love the blue bib ones for me! The pink one and it would be for my wife. She use to have one as a kid in the 80s so what a nice hubby I would be if I won one! The one with the blue bib for my son! For the big one I would pick the one with the blue bib, for the keyring I would pick the one on the far left :-) I hadn't remembered these but now I've seen them they bring back memories! oh and I would keep the big one and give the keyring to a friend :-) forgot that part, I was so distracted by thinking about how I did remember them after all! The one with the blue bib for my son.. I used to love these! Love the little girl - i'd keep her myself. She's gorgeous!